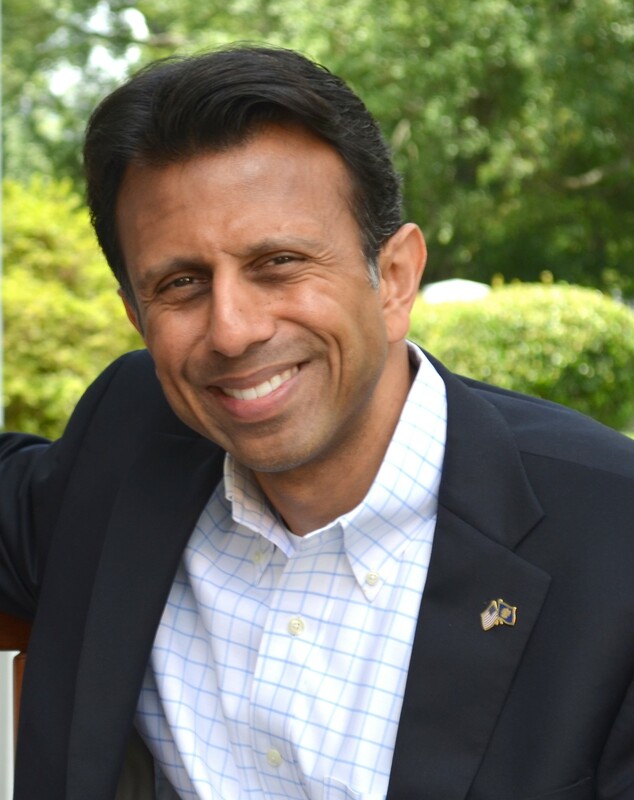 Governor Bobby Jindal of Louisiana, a much-talked-about 2016 presidential candidate, offers fourteen lessons from our nation’s past and discusses how they can be used to restore American courage, faith, and wisdom. Nearly forty-five years ago, Bobby Jindal’s parents left their home in rural India—a place with no electricity or running water—to build a new life in the United States. Every day, Jindal’s father told him, “You should be grateful that you were blessed to be born in the greatest country in the history of the world”—a country where the son of poor immigrants could grow up to become the governor of Louisiana. For Jindal, this defining experience bolsters a profound belief in American exceptionalism: Freedom is not just the American way, it’s the American will. 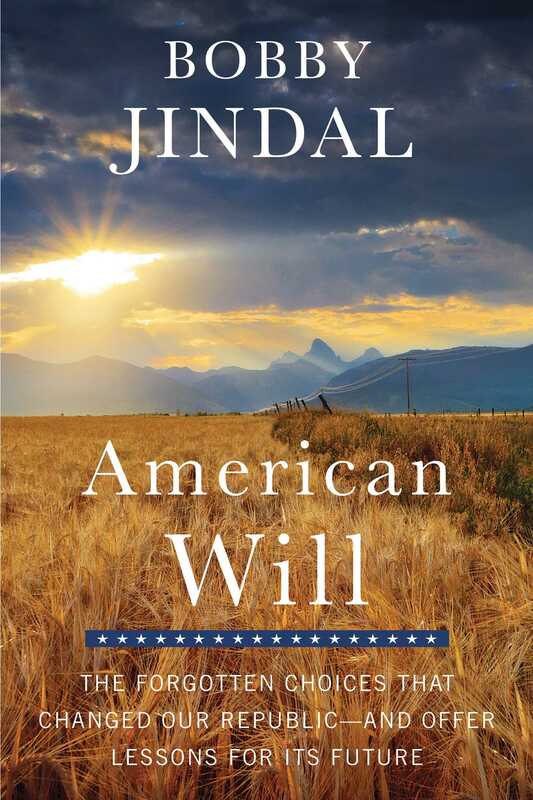 As we approach the next great turning point in this extraordinary nation’s remarkable history, Jindal brings to life inspiring stories from our country’s past that have influenced his beliefs and the indispensable lessons each can teach us about our future. Stories such as the stalwart senator who galvanized the public against Hillary Clinton’s costly and oppressive socialist health-care proposal in the early 1990s; the entrepreneur whose dogged determination ushered in a worldwide energy revolution, and with it technological innovation and economic growth; and the Founding Father who refused to “lead from behind” and instead used his vision for the nascent nation’s vast potential and the best interests of its people to outwit a greedy dictator. In the next election, we can continue down the current destructive path of big government, emboldened enemies, diminished liberties, and hostility to religious faith. Or we can embrace the values that have always propelled America to the top: limited government; free people and free markets; strength and exceptionalism; and the essential role of religious faith in effecting change. American power is precious, and our vital interests and those of our allies depend on strong leadership. Whom will we choose: a cynic or a statesman, a politician or a problem solver? The dramatic tales in American Will illuminate the courage, faith, and vision that we need in 2016—and the government folly, corruption, and myopia that jeopardize our future. Americans will elect a new president in 2016. We will choose from candidates with different backgrounds, records, and ideologies. But there’s one thing you can bet they’ll all have in common: Every single one of them will praise, with great feeling and fervor, American freedom. We hear the word “freedom” tossed about so frequently by politicians that it rarely means what it once meant to the patriots who declared the right to it inalienable in 1776 and who secured it on bloody battlefields from Lexington to Yorktown. The next time you hear politicians invoking American freedom, ask yourself: Do they mean what our founding fathers meant? Do they even understand what the founders meant? Do they care? Leaders cannot be expected to defend principles they do not understand. It is the job of each of us, particularly those of us in public office, to remember, first, where our freedoms come from, and, second, how and why the most sacred of those freedoms were written into the Bill of Rights of our Constitution. For a story of the former—where our freedoms come from—I would recommend the Bible, because we were endowed with our inalienable rights “by our Creator.” But for a look back at the latter—how and why those freedoms found protection in our Bill of Rights—read on. It’s the topic of this chapter. There’s an old saying: Winners write the history books. And because the men who wrote and advocated for the Constitution succeeded in securing its ratification, history tends to remember them as white knights, and their opponents, dubbed the “antifederalists,” as the villains. But that is an oversimplification. Many antifederalists wanted to ratify the Constitution, but only if it included a Bill of Rights to provide explicit protection for liberties such as free speech, the free exercise of religion, the right to keep and bear arms, and the enduring role of states and state governments.1 Arrayed against the antifederalists’ demand for a Bill of Rights were such federalists as George Washington, James Madison, and Alexander Hamilton. I have great respect for the federalists. In a way, they were the more idealistic of the two groups. I wish they had been correct in their belief that the structural protections of the Constitution would prevent the excessive growth of federal government at the expense of individual liberty and states’ rights. But I have a soft spot in my heart for the antifederalists. In the end, they were the side that was right. From a modern-day perspective—with the EPA threatening the economies of Louisiana and most other states by imposing job-killing regulations on our industries, with the Justice Department suing Louisiana to block school choice, and with the Obama administration waging a war on the free exercise rights of religious Americans—anyone can see that the federal government has grown beyond what anyone in the founding generation could have imagined. It is the realization of the antifederalists’ worst fears. The antifederalists’ concerns about government remain our concerns. Does the federal government have too much power? Will leaders hundreds and thousands of miles away from constituents truly represent their interests? How secure are our God-given civil liberties? What follows is the unlikely story of how a band of largely forgotten Americans fought for a Bill of Rights; how they won far more than they lost in the struggle over the Constitution’s ratification; and how they are responsible for the protection of the rights that have defined the American experience for more than two centuries. One month into the state of New York’s convention to consider the ratification of the United States Constitution, Alexander Hamilton rose to deliver the most important speech of a life that had begun on a distant island in the Caribbean. There, he had seen the cruelty of slavery, and he had in turn developed a hatred of oppression. But it was also on the island of St. Croix that young Hamilton had been orphaned, and he had, perhaps as a result, learned to long for order, the kind of order children take for granted when their loving parents protect them. So, when Hamilton rose to address New York’s ratifying convention, he brought with him a love for freedom from slavery and from chaos; for liberty and order; for independence and union. Union was very much on his mind this day. With so many states having already ratified the Constitution, Hamilton was sure that if his home state of New York voted not to ratify, it would be voting itself out of the Union. But could one of the most forceful advocates for a new, stronger federal government and an architect of the Constitution persuade his colleagues? In the first month of the convention, all evidence suggested that his opponents at the convention outnumbered him by more than two to one. This, however, was familiar ground. Hamilton had been tirelessly defending the Constitution’s “beauties” at the convention and in New York’s editorial pages (under his Federalist Papers’ pseudonym, Publius). Thus far, at least in upstate New York, those arguments had largely fallen on deaf ears. There was, though, an alternative, and supporting it were “distinguished patriots” who commanded far more admiration than the controversial Hamilton could ever hope to. “Hancock,” for example. The first man to sign the Declaration of Independence. And “Adams,” who “first conceived the bold idea of independence. He is for it.” So was “Franklin—this old grey-headed patriot looking into the grave.” These surnames—there was no need for first names, not with men as famous as Hancock, Adams, and Franklin—carried with them the history of an infant nation’s audacious defiance of taxes and tyranny. To oppose the Constitution was to oppose them—and that history. When Hamilton finished, according to The Daily Advertiser, “tears” filled the eyes of “most of the audience.”4 That audience included spectators who had, for a month, hung on Hamilton’s every word. But it also included antifederalist delegates, and The Daily Advertiser did not report on the tears—or absence of tears—in their eyes. They were still as opposed to Hamilton and the Constitution as they had been when he began. Or at least, they appeared to be. There was, however, at least one opponent, the most prominent antifederalist, in fact, who was having second thoughts. This delegate may well have found Hamilton’s words as moving as did the teary-eyed spectators in the galleries. It was now clear they could no longer stand in the way of a new Constitution to govern a new nation. But it looked as if they would get a Bill of Rights that would alleviate their concerns about the need to preserve individual and state rights. The delegate was the leader of the opposition: a simple man with a funny name, largely unsung by history, with a crucial role to play in the destiny of the American republic. With Hamilton’s eloquence still ringing in his ears, Melancton Smith rose, looked out across the convention floor, and spoke words as critical to the fate of the American union as any in the next seventy-three years, until a prairie lawyer from Illinois delivered his first Inaugural Address. If the man looked tired, his eyes rimmed with dark circles and his long hair unruly, it was understandable. The fight for liberty had taken its toll on Smith and his fellow antifederalists. The nation’s ratification debate began ignominiously, when four men burst through the doors of Major Alexander Boyd’s boardinghouse. The targets of their pursuit were two men—James M’Calmont and Jacob Miley. They were dragged from the house by force and taken through the Philadelphia streets. Their clothes were torn and their temperatures boiling. These men were not petty criminals, but Pennsylvania legislators. And their pursuers weren’t police officers, but with the legislature’s sergeant-at-arms, who was ordered to apprehend M’Calmont and Miley at any cost. Both men were skeptics of the proposed U.S. Constitution—part of a group derisively named the “antifederalists” by their opponents. Their absence from the proceedings of Pennsylvania’s legislature was intentional; the men hoped that there would not be a sufficient number of legislators present—a quorum—to allow a vote to go forward on creating a state convention for the Constitution’s ratification. Two weeks earlier, in this very city, delegates to the Constitutional Convention had finished their work. After a summer of debate and division, they had signed their names to a Constitution that replaced the Articles of Confederation, a governing structure put in place after the Revolutionary War that had proven disastrous. What had happened at the Constitutional Convention that summer promised salvation from the chaos and near-anarchy of the Articles of Confederation—but only if the required nine of thirteen states agreed to ratify the draft Constitution. And largely because many liberty-loving citizens were hesitant to adopt a Constitution whose framers had failed to include explicit guarantees of Americans’ most sacred civil liberties to protect them from an all-powerful central government, ratification was far from certain. This was what motivated M’Calmont and Miley—they feared approval of a document that might very well bring another George III to power in America. When they arrived at the State House, M’Calmont demanded to “be dismissed from the house.”6 But the other forty-four legislators gathered there wouldn’t hear of it. They needed forty-six legislators to make the quorum. These two men weren’t going anywhere. Suddenly, M’Calmont made a bolt for the exit. “Stop him!” spectators in the legislature’s gallery called out.7 After the crowd at the door physically blocked M’Calmont’s attempted escape, the majority voted to hold elections for the state’s ratifying convention as soon as possible—on the first Tuesday in November—with the convention itself to begin two weeks later. And with that, the final action on the final day of the Pennsylvania legislature, the fight to ratify the United States Constitution had begun. It had not been pretty. It had not been fair. But it was a harbinger of things to come. Bobby Jindal was born in Baton Rouge in 1971 and, after graduating from Baton Rouge High School, went on to attend Brown University, where he graduated with honors in biology and public policy. Following his graduation he attended Oxford University in England as a Rhodes Scholar. He was elected Governor of Louisiana on October 20, 2007. He has made education and tax reforms top priorities of his tenure in office. Visit him on the web at http://gov.Louisiana.gov.